I entertain with some regularity and one constant dish I serve regardless of the type of party is spicy almonds. I usually place dishes of the spicy nuts throughout the house during a party and inevitably, I find the near-empty (or completely empty) dishes at the end along with numerous compliments and requests for the recipe. I made a batch today for my husband who is going on a canoe trip with some buddies. I guess spicy almonds aren’t just for parties anymore. I use a variation of Martha Stewart’s recipe which calls for blanched almonds. 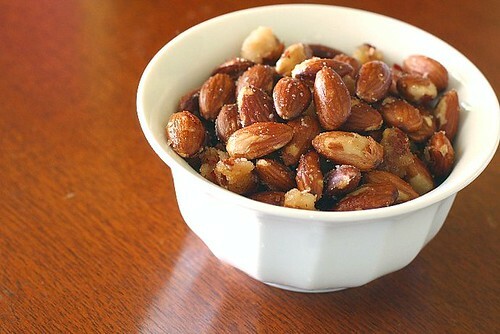 I use dry roasted unsalted almonds since blanched almonds just look so naked. The sugar will caramelizes into little bunches of sugar, which is such a perfect complement to the spicy crushed red hot peppers and cumin. In a large, heavy-bottomed saute pan, warm the oil over medium-high heat. 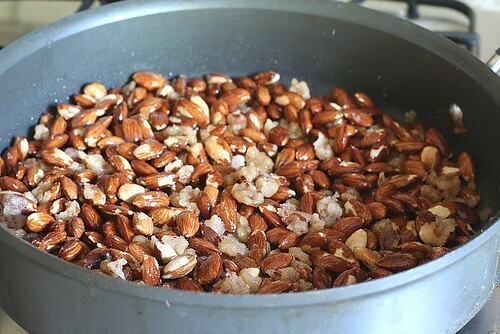 Add the almonds, and stir with a wooden spoon, coating each thoroughly with oil. Sprinkle with 1 cup sugar, and continue to stir until the almonds become golden brown and the sugar caramelizes, about 4 minutes. 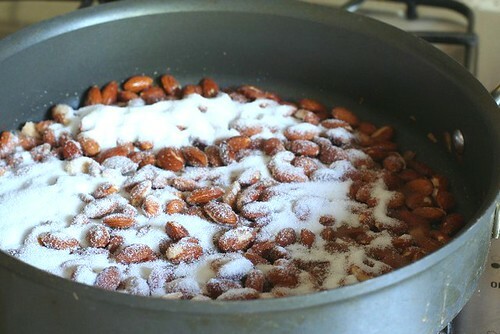 Remove the pan from heat, and pour almonds into a medium mixing bowl. Sprinkle the remaining sugar, salt, cumin, and red pepper flakes over the nuts, and toss well. Pour the spiced nuts out in a single layer on a baking sheet, and separate with a wooden spoon. Allow nuts to cool for about 30 minutes. Spiced nuts can be stored up to two weeks in an airtight container. I do a similar thing with peanuts and no, you can not eat just one! They look delicious and I like your “dressed” version better I think! 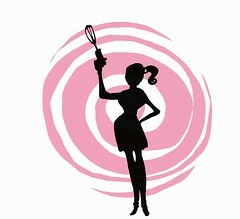 I am a diabetic, can we use splenda instead of sugar? Thanks, what if we have unroasted almonds? What is the roasting process…can we just bake them?